Looks good, good quality for the price. 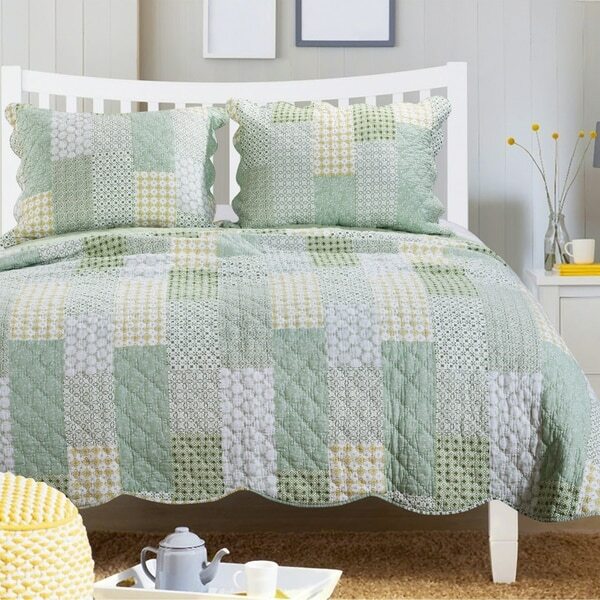 Add causal sophistication to your space with the Juniper quilt set! Combining geometric patterns in natural colors and classic motifs, this quilt set coordinates with a variety of interior décor themes. Scalloped borders refine the look. Reverses to a coordinating solid for two looks in one. Set includes: Quilt and two pillow shams (one sham with Twin set). I love the colors and the scallops. Wish there were little pillows that went along with it. The king size did not come down far enough on the sides. But as a whole I love it. It looks perfect hope I love it.